As autumn and winter draws upon us, those cosy nights in can be brightened up with some at home spa treatments. 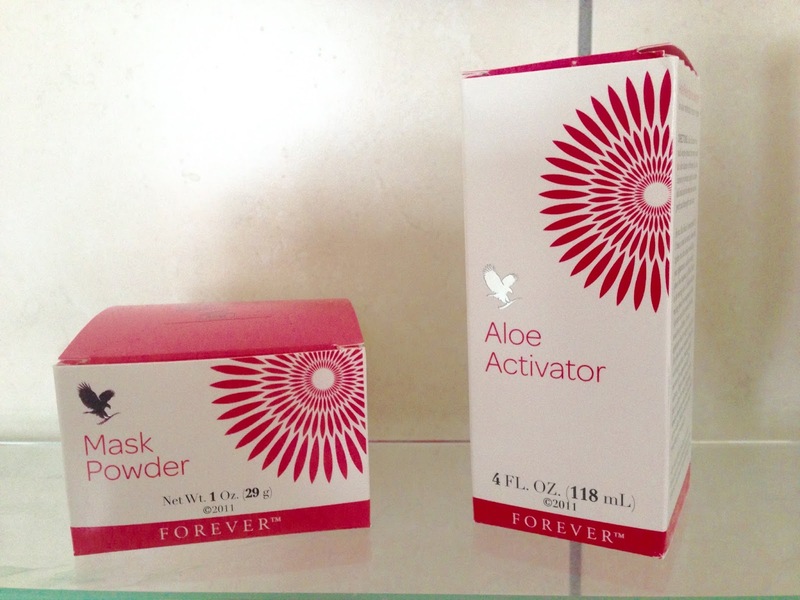 I've always been a fan of face masks so when I was asked to review* the Forever Living Aloe face mask, I thought it was perfect to try a new one this winter. 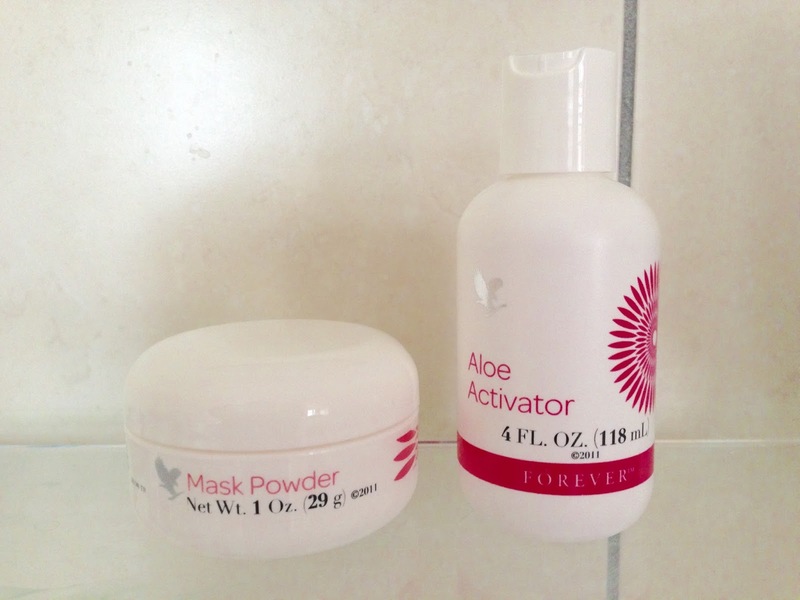 The Forever Living products are also natural, so I knew it would be doing good stuff for my skin. The Aloe Fleur de Jouvence is a facial that combines a Mask Powder with an Aloe Activator to create a lotion which you apply to your face as a mask. I have been using this face mask for around a month now and I really enjoy actually making it as well. It's quite interesting as you have to add a teaspoon of the Mask Powder into a bowl and then mix it with a teaspoon of the Aloe Activator. This creates a pink lotion which can then be applied to your face. I like to use a foundation brush to apply this evenly on my face. The instructions recommend that you leave the mask on your face for around 30 minutes before washing it off. At first I thought this was quite a long time compared to other face masks I have used, but to get the full effect I would leave it on for the recommended time. This mask is interestingly known as the 'botox mask' as you can really feel the mask tightening on your face during the 30 minutes. To be honest, I was actually really surprised the first time I used the product at how tight your face becomes! I can see why it's called the botox mask as it feels really tight and you can feel it working. Even after the first use, I could see a genuine improvement in my skin and was even getting compliments on how clear my skin was looking later that day! I'm really impressed with this face mask and would recommend it to anyone looking for a natural product to use which is also really fun to make. I like that you can feel it working on your skin and tightening, plus the fact that it's from a brand that has a good reputation for natural products. Have you tried any face masks recently? Which is your favourite? *Thank you to Forever Living for sending me this product to try. As always, all views are honest and my own.